Craig Soutar of the New Zealand Transport Agency talks about the CIO’s ‘balancing act’ of simultaneously leading through a growing ICT portfolio and delivering core services. Craig Soutar looks at the role of the chief information officer (CIO) across three dimensions. In fact, this was how Soutar, who was recently named CIO of the Year, answered when asked what would differentiate him from the other finalists for the award. He has been CIO at the NZTA for over four years, moving there after a transitional period of working as an independent ICT consultant and six years at ANZ National Bank. The judges, all former CIOs, called Soutar “a role model CIO”, who makes a significant contribution to the IT industry in New Zealand. “He is a thought leader contributing to All of Government initiatives, is on the ICT Council, and is an active member of the CIO Forum, as well fulfilling his duties as CIO of the NZ Transport Agency,” they noted. The CIO of the Year was just one of three accolades recently picked up by Soutar and his team. 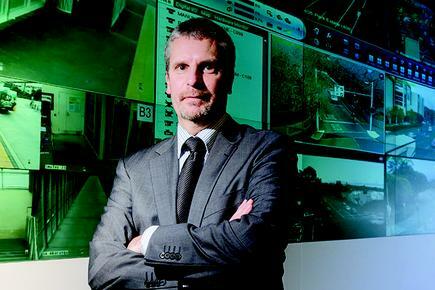 Last year, NZTA completed the registry system modernisation or BCP — which won ICT Project of the Year at the 2012 ITEX Computerworld Awards and more recently, the Networked Government category at the 2013 IPANZ Public Sector Excellence Awards. When asked about his views on managing such a varied portfolio at the NZTA and involvement in various All of Government forums, Soutar shows a photo of a wooden stool with three legs. One leg of the stool stands for project delivery, the second as core services including continuous improvement, and the third as capability uplift. He says this analogy can also apply to his CIO role at NZTA, his collaborative work across the transport sector and to the All of Government opportunities he is involved with. He says it is important to maintain the overall balance by having members of the wider IS management team taking the lead. That team is comprised of a head of technology, an information manager, business alignment and solutions manager, and head of project management office. “Between the five of us, we complement each other well and I am very proud of our combined capability,” says Soutar. So what are some of the key differences that stood out for him, moving from the private sector to a central government agency? Culture is one, he says. “The private sector is naturally competitive. It is very energising; it keeps you on your toes, but it also can be very combative. At the recent CIO Summit, Soutar discussed some of the lessons learned from rolling out a business transformation programme “around some big potholes”. He and his co-presenter Dean Thompson, head of the NZTA programme management office, examined how the agency worked with internal and external organisations to implement the registry system modernisation or BCP. The project involved modernising all the registry systems right at the heart of land transport across New Zealand: driver licenses, motor vehicle licensing, road user charges, and safety checks including WoFs and CoFs (warrant of fitness and certificate of fitness). The project involved, among other things, developing a new web interface for 700 screens, converting millions of lines of LINC and Cobol code to .NET, and migrating over one billion records to a Windows platform. The programme involved over 150 people from across the NZTA and its key partners, including significant technical leadership and service provision from Unisys. The original estimated cost to replace the registry systems was over $70 million. The outcome, which made the audience cheer twice for Soutar and his co-presenter, was delivering the project at a cost of $8.2 million. He says this was achieved without having to completely rip out and replace the systems and interrupting services. The process started in 2008, when the only way to address the end of life registers on the Unisys mainframe was to start from scratch. A business case was drawn up for $70 million dollars. However with the global financial crisis, a new incoming government and a lowered risk appetite for projects of that size, NZTA had to go back to the drawing board. “We looked at eight options and did further due diligence including a detailed discovery and analysis,” says Soutar on one particular option. The assessment became a “dynamic process of being able to look into the future and what we needed our systems to look like”. The team also researched which agencies around the world had completed a similar migration. They found none, just agencies that had started and were unsuccessful, and those who had not yet completed the project. There were other major challenges they faced as they rolled out the project: a change in business leadership and significant scope change. Another lesson from the migration is scope management. Scope change is inevitable in large projects, he says. The ICT team may lose the faith and feel the frustration of the business if they “freeze the scope” or lock down systems for an extended period. Indeed, while working on the BCP, NZTA had to implement significant system changes for road user charges. The latter grew in scope, with changes nearly doubling, as the system has not been touched since 1972 when it was first introduced. “We were able to achieve the delivery on time for that project, and make sure that none of the impacts came through the BCP programme,” says Soutar. He says the team nominated the BCP project for awards for two reasons: to recognise the outstanding work of the people involved, including that of their business partners; and to also show government can do things well in the business technology arena. “Government has had a bit of a beating in the last year,” he acknowledges, a reference to the teacher payroll programme Novopay and data breaches from central government agencies. The rise of shadow IT is very much in his sights, and to this he repeats an observation he made to an interview with CIO New Zealand two years ago. 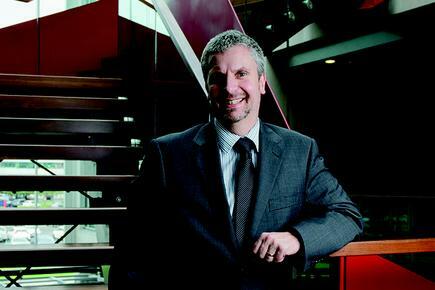 How does he see the CIO role evolve? “In more recent times, it has become a true transformative leader around business process, business intelligence and business change management. “I think there will always be a service provider and enabler elements in the role,” he says. But there will also be more opportunities to be ‘transformative’. Craig Soutar is one a handful of government CIOs with a banking background on their CV — and now in the top ICT roles in central government agencies. Is there an advantage for people from the finance sector when they join government? Independent IT management consultant Murray Wills thinks so. “Having a background in banking systems means that the individual will have an understanding of information as an organisational strategic asset and understand the leadership and organisational structures and processes that need to be in place to ensure that the organisation’s IT sustains and extends the organisation’s strategies and objectives,” says Wills, managing director at Maxsys Consulting. Soutar says the sector also provides a mix of scale that is not readily available in New Zealand. Banks have complexity and share certain characteristics with organisations like hospitals and airlines that demand very high quality standards, and where, he says, “Reliability and reputation is everything. As well, Soutar reports to a former CIO, his predecessor Allan Frost, now group manager — organisational support. Soutar says he can “only think of upsides” to this reporting line. “As well as having a senior executive that appreciates IT and the value it provides, I also very much value Allan’s strength in developing myself and others in my team.